Whether you are a homebrewer or like to get your favorite beer from the local microbrewery, the uKeg should be on your wish list. 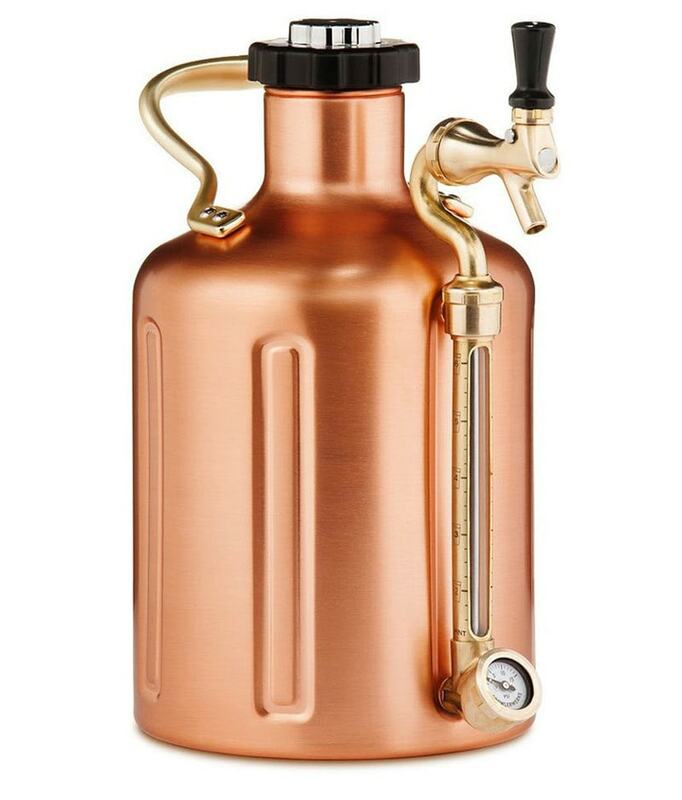 The copper growler keeps your beer fresh and carbonated for weeks – and as an added bonus, it will look great in your home bar! 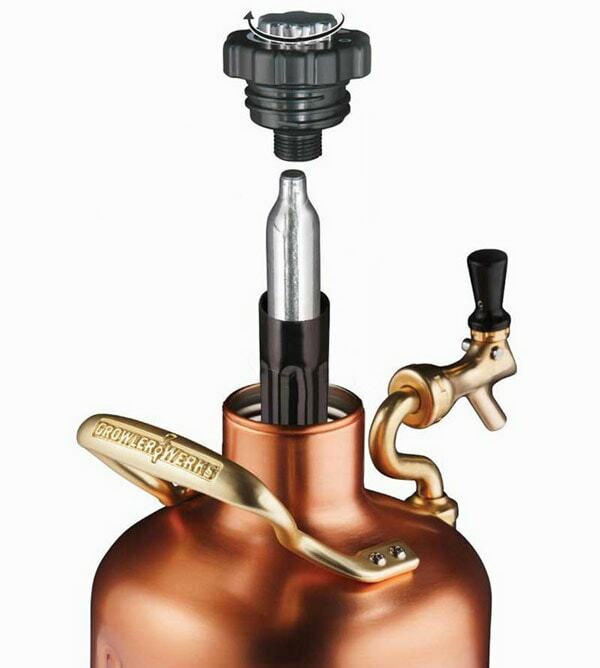 The copper Ukeg from GrowlerWerks is constructed in stainless steel with a copper plating to give an old-fashioned brewery look. You can fill up the container with whatever drink you fancy and the cap with a CO2 cartridge will keep the drink pressurized. As you pour your drink, it will be perfectly carbonated. 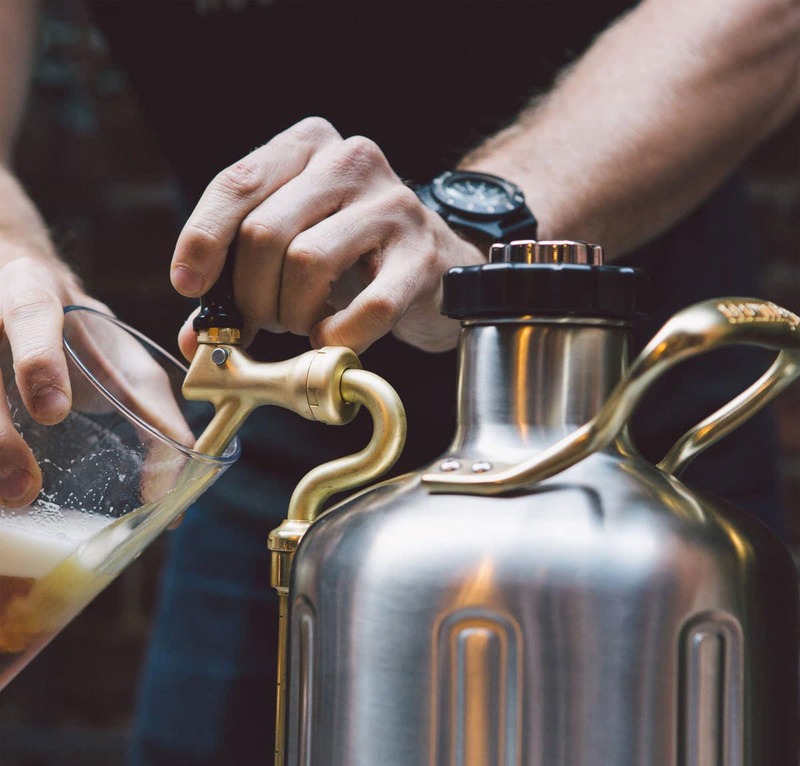 The growler is double-walled and insulated to keep your beer cool and fresh – and with the dispenser tap you can easily pour your drinks without removing the cap. 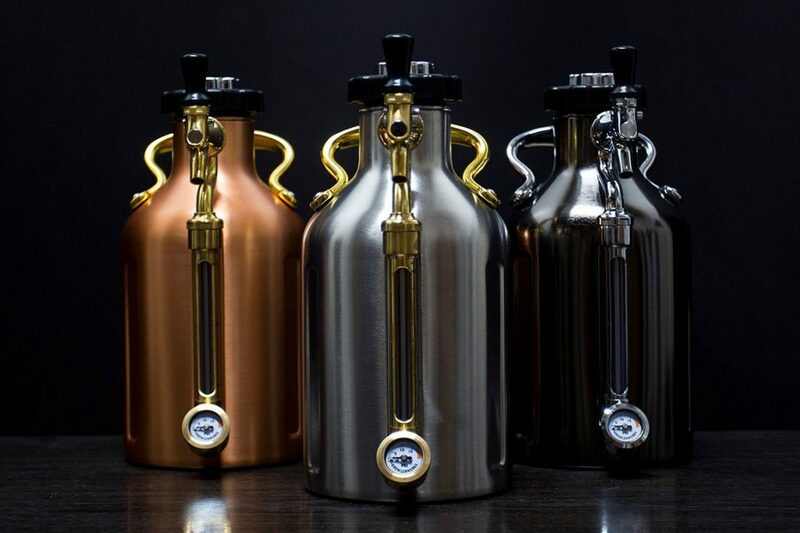 It doesn’t get any closer to being at the bar and you can even fill up a couple of growlers to invite your friends over for a personalized beer tasting. Keep your best brew fresh and on tap – for weeks. You are now good to go and share with friends – and if you can’t finish the keg in one sitting, place it in the refrigerator for another time. Remember to clean it thoroughly after use by hand. The love of good beer was the start of Portland-based GrowlerWerks. As many of their favorite microbrews didn’t come in bottles, they had to come up with another way to store their brew and keep it fresh. They used their experience from engineering and product design to create the uKeg that ensures your beer always tastes exactly how the brewmaster intended. 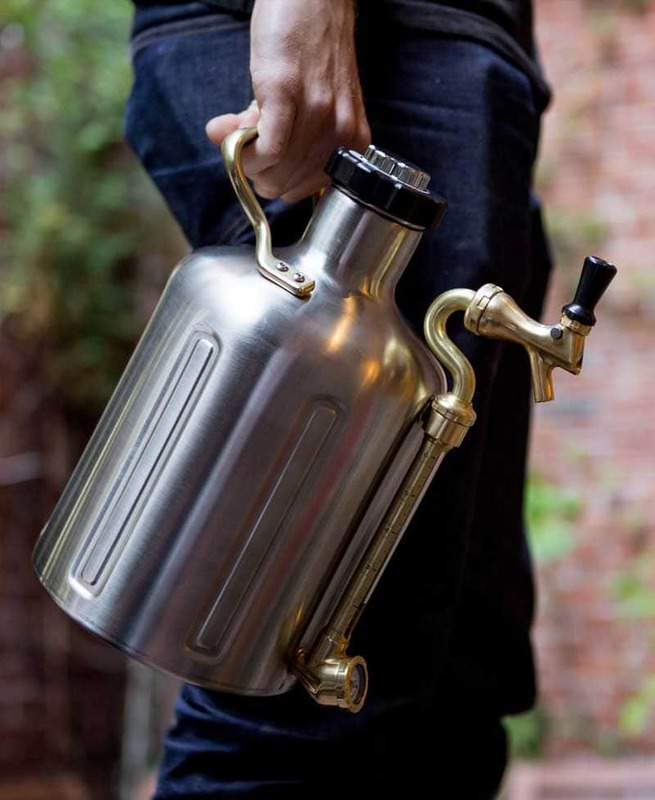 Price for the Copper Growler uKeg 128 oz (w/CO2) is $257 – currently on sale at Huckberry at $179,98. GrowlerWerks even offers cool accessories like bar mats, infuser, tap handles and a wood carrying case.